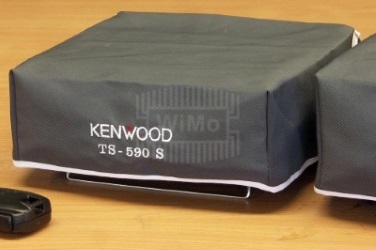 Unfortunately you can't be on the radio everyday — and to protect the precious radios in the meantime WiMo now offers nice dust covers. 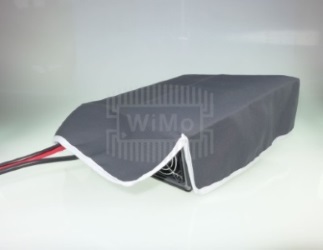 These practical hoods are manufactured fitting for the various radios, but leave enough space for cables and connectors. The mixed polyester/cotton cloth is sturdy and easy to clean, at the same time soft enough to protect even sensitive LC displays. By using slits on the rear side of the dust cover, even large antenna cables can remain on the radio, no need to remove them each time (see pictures). 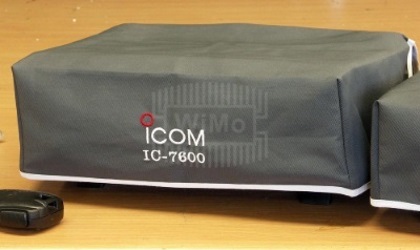 Each of the dust covers is embroidered with the manufacturers logo and the name of the radio. This is not only useful but also looks very nice!